Bifold doors are becoming a new addition to homes all over the UK simply for their fantastic ability to let light and fresh air into a room to give a great sense of the outdoors. Often called a zig zag door (for how they open) these doors are becoming more and more a part of modern living. The big questions most consumers address first when looking where to buy quality bifold doors is where do I go? What choices do I have? and How Much do UPVC Bifold Doors Cost? Bifold doors come in a wide range of materials starting off with low maintenance upvc, to traditional softwoods and hardwoods, with the higher end of the market heading towards aluminium and the Rolls Royce timber clad aluminium systems which are now available. Depending on the setting of the home whether the house is in the middle of the city or a rural cottage along with the amount of maintenance the consumer is looking to invest in their doors often decides what material is chosen, budget set a side of course. How are the doors going to open? Are the folding doors on the inside or the outside? How are the doors to be split over the distance? Which way will the doors slide to the left or right? How many doors will slide one way and how many the other? these are just some of the numerous questions and options available to a prospective purchaser. Most bifold door specialists include survey and fitting in their final price the real question from a purchasers point of view is the guarantee. 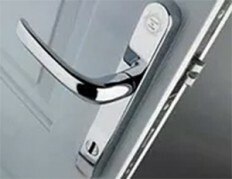 Simple questions to ask the door supplier would be are they Certass or Fensa registered and do they have any testimonials to follow up, check also do they offer an insurance backed guarantee should anything go wrong in the future its always best to have peace of mind. Bifold doors are truly a great addition to the home, with the media and TV programmes really showing the wow factor these doors offer. Now the homeowner with a little research, such as visiting https://www.cheapupvcbifolddoors.co.uk/, can avoid the bifold doors from hell and enjoy the great sense of the outdoors and space these doors bring to any home.